Doughboy has been a trusted name in outdoor pools for over half a century, but that hasn’t always been their claim to fame. In fact, the company actually got its start in the military. So how does a company go from sealing K rations to top of the line swimming pools? To get the full story we have to go all the way back to World War I. A company called Domain Industries had been working to perfect rubber sealing. Through its packaging machinery they were able to earn the army contract for sealing K rations, better known as a meal in a can. These K rations were carried into battle by the soldiers who were referred to as Doughboys. Because of this early contract, the company gave a special name to their packaging operation, the Doughboy Plastics Division. After the war, the focus of the Doughboy Plastics Division became outdoor family entertainment. They made inflatable pools, toys and beach balls. After several years they decided to change their name again to Doughboy Recreational. In 1974 Doughboy Recreational was bought by Hoffinger Industries, which was founded by Marty Hoffinger who happened to be the inventor of one of the first above ground pool filters. The marriage of these companies was the beginning of what we know as Doughboy Pools. Doughboy Recreational is still in the rubber sealing business, however that sealing is now used in the Therma-seal technology found in Doughboy pool liners. The technology actually makes the seams of the liner stronger than the liner itself. That is why Doughboy offers a 100% lifetime warranty against seam failures. It is also the reason that Doughboy is the name in above ground pool liners. In addition to their unique history, Doughboy has some other unique features. 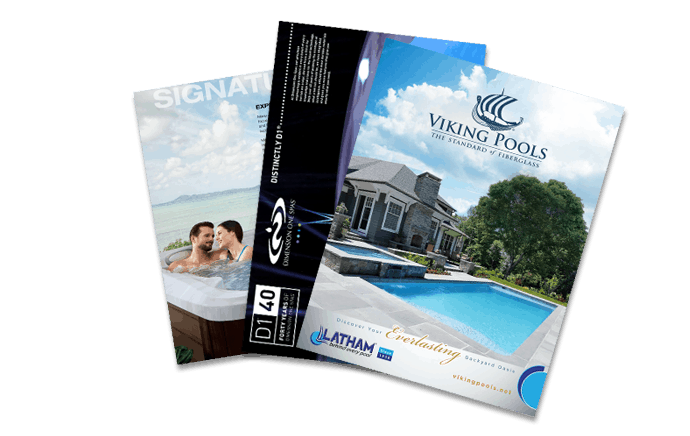 They are the only pool manufacturer in the world that makes everything that they sell from raw materials. That manufacturing also takes place right here in the USA. They have a 660,000 square foot facility in Arkansas where they are continually monitoring the entire production process so they can bring you the highest quality products available. When you buy a Doughboy pool you aren’t just buying a pool for your family to enjoy. You are buying a piece of history from an American company that produces the highest quality products available. That is why Aqua Pools is proud to sell Doughboy pools. Stop by the showroom and see the Doughboy difference for yourself.